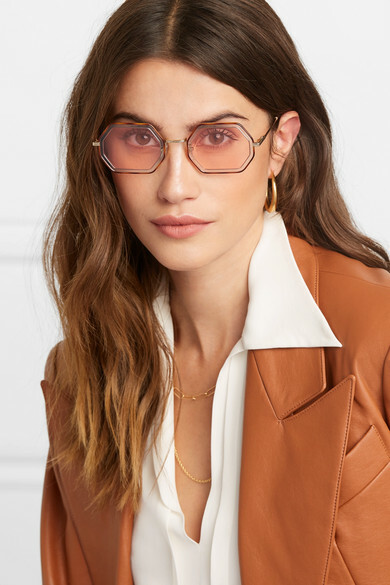 We'd make the case that Chloé's rose-tinted lenses really work - when you're dressed chicly from top-to-toe, it's an instant mood lifter. 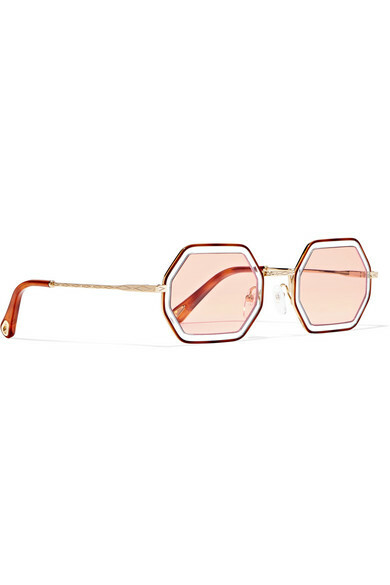 Inspired by '70s styles, these sunglasses have delicate octagonal frames outlined in clear and tortoiseshell acetate. The engraved gold-tone arms are finished with cutout tips, so lean into the retro spirit by wearing them with a sunglasses chain. Shown here with: we11done Blazer, Chloé Dress, Alighieri Necklace, Dinosaur Designs Earrings.